Prof. Michael Newman received his Master’s of Teaching English to Speakers of Other Languages from Eastern Michigan University. He discovered his love for teaching English as a Second Language while living abroad. He moved to South Florida and began his journey for a tenure track position at Broward College where he has recently earned a tenured position teaching English for Academic Purposes. Another great passion of his is that of philosophical writing and discussion. Dr. Azly Rahman holds a doctorate in International Education Development from Columbia University, and multiple Masters Degrees in the fields of International Affairs, Peace Studies, Communication, and Education. He is currently pursuing an MFA in Creative Writing. He has edited and authored seven books. He resides in the US where he teaches courses in Education, Philosophy, Cultural and American Studies, and Political Science. His interest in research and writing lies in the cultural interplay between Cybernetics, Hegemony, and Existentialism. Subtheme of session 73: The Ongoing Ovi Symposium’s dialogue on Reason/Faith. Indirect Participants within the Great Imaginary Conversation across the ages: Fukuyama, Vico, Kierkegaard, Frankel, Plato, Descartes, Hegel, Machiavelli, Cervantes, Aristotle, Strauss, Nietzsche, Augustine, Petrarch, Husserl, Heidegger, Shoshani, Wiezel, Derrida, Socrates, Voltaire, Novalis, Maimonides, Paul, Lang, Dante, Del Bornio, Cohen, Rosenweig, Croce, Poe, Mazzantini, Freud, Einstein, Miller, Sondheim, Spielberg, Yehuda, Meir, Chagall, Jesus, Buddha, Lao Tze, Muhammad, Moses, Francis of Assisi. Comments by Emanuel Paparella on Ernesto Paolozzi’s presentation by way of a dialogue on the issue of transcendence/immanence in Vico and Croce. In this 74th meeting of the Ovi Symposium we pick up once again the ongoing dialogue on the thorny theme “reason/faith.” To a certain extend the ancients too were acutely aware of this issue via the philosophical route of “natural theology,” a sub-set of philosophy proper. Aristotle’s metaphysics-theology reasons to the existence of God or a supreme cosmic intelligence whom he calls First Cause. Aquinas later picks up on that Aristotelian reasoning in the Summa’s proofs for the existence of God. Plato too shows his concern for the issue in his dialogue The Symposium when he asks if the gods are bound, like humans, by ethical considerations, or is their behavior free of such concerns? In the first presentation by Dr. Emanuel L. Paparella the theme of reason/faith is further explored through the lenses of Vico and Levinas’ modern philosophies. These influential philosophies have powerfully challenged the West’s predominant Platonic-Cartesian rationalistic philosophy spanning some 25 centuries from Plato (500 BC) to Heidegger (2000 AD), and they have done so without denigrating reason. They have merely re-centered reason around Ethics and the encounter with the Other. In some way Socrates did something similar 25 centuries ago. Ethics is and remains a sine qua non of any kind of viable philosophy. To be unconcerned with it is already a sign of dehumanization and the inability to do philosophy. To do philosophy means not only to build the theory but also to do the practice, for theory without practice is a sterile exercise, while practice without theory, more often than not, is an incoherent mindless exercise. In the second presentation, Ernesto Paolozzi presents us with a curious phenomenon in Croce’s philosophy; namely his ambiguity when it comes to the philosophical concept of the soul and Providence and the immanence and transcendence that attach to them. As Paolozzi points out it is a strange ambiguity which is not supported by an immanentistic historicistic philosophy which seems to consider transcendence and immanence as logically mutually exclusive. 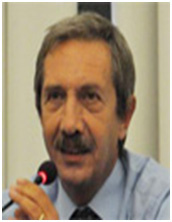 In the dialogue that follows those two presentations (as section 3), Paparella speculates that perhaps the ambiguity is due not to the fact that Croce did not know Vico well, but to the fact that Croce knew Vico only too well, having a common strong humanistic background, and so could not in good faith bring himself to join the other secularists of the time bent on debunking the whole concept of Providence’s action in human history as developed in Vico’s philosophy. Paolozzi brings to the fore an interesting book review of Croce on the concept of the soul which may, in my opinion, explain the ambiguity of his stance. But let the readers assess the facts as presented, judge for themselves, and reflect on how best to resolve this strange conundrum of the harmony between two terms that seem antithetical and mutually exclusive. In the third presentation by Michael Newman (as section 4) the Vichian-Crocean synthesis of reason synthesized to imagination is further explored. True to form, Michael has recourse to his childhood reminiscences of Jewish religious celebrations, thus rendering the whole discourse more existentially relevant. He asserts that the key to understanding the Jewish mode of thinking and its consummate ability to hold on to two seemingly contradictory ideas and concepts, as well as its synthesis reason/imagination, is found in Maimoinedes’ concept of prophecy. Indeed, this is a concept often misunderstood by contemporary secular debunkers of religion who reduce it to mere fortune telling or to haphazard predictions on the future, a caricature of its true meaning and character. But of course underneath it all is the search for the function of language and how language existentially influences the meaning of our humanity. That is a Vichian-Crocean philosophical enterprise. Thus we are back to the question raised in the last meeting: are we trapped in the prison house of language or can language lead to the transcendent? Consequently, we are also back to Ivan Illich (originally a Jew, by the way, who later became a Catholic priest) and his initial consideration on language with which we began this meeting. Plenty of food for thought and reflection! Meanwhile, let the conversation proceed. In the fourth presentation Azly Rahman explored the universality of the Self in six dominant religious-philosophical traditions: Jewish, Christian, Moslem, Buddhist, Taoist, Hindu. The underpinning for his exploration is the I-Thou philosophy of Martin Buber. Even cursory reading of this reflection ought to convince even skeptics on religion that indeed, as the very etymology of the word religion intimates (it means binding together, for the Latin “rilegare”) religion, properly understood can bring together diverse people and traditions since there is something universal in all of them: the universality of our humanity and its ultimate destiny. What will future historians and cultural anthropologists have to say about Western Civilization as it turned a new millennium? If history has already ended, as Fukuyama asserts, they will of course have precious little to say. However, given the fact that, for better or for worse, we are not gods and are still living within time and space, “the end of history” remains a dubious proposition at best, and I dare say that it will remain such even a thousand years from now. Future historians will indeed attempt to define our era, as difficult as it may turn out to be. The Neapolitan philosopher of history Giambattista Vico (1668-1744) would have had no hesitation in situating it within the third of his recurring cycles of history and civilizations (the cycles of gods, heroes, and men): that is to say, an era of extreme rationalism in tandem with relativism vis a vis the concept of Truth, what he dubs “the barbarism of the intellect.” But more specifically, we may ask: which will be the outstanding symptomatic phenomena that future historians will identify as characteristic of our age? I would venture two: 1) the speed of communication coupled with its banality, 2) thinking in the closet and herd thinking. Let us explore them briefly. The first one is the more visible and pervasive. It is the kind of phenomenon that would have a great novelist begin his recounting of our times with “it was the best of times, it was the worst of times.” We now possess a near miraculous ability to communicate instantaneously across oceans and continents; to forward entire texts in seconds and have them published within days. This ability challenges even Hermes, the god of messages, who perhaps was not as fast as our e-mail messages are, hence the popularity of hermeneutics in modern literature and philosophy. But there is a snake in this utopia come of age and it is this: there seems to be an inverse proportion within this phenomenon, the faster the means of communication, the more trivial and banal the communication seems to get, and the less authentic the dialogue. That applies to at least 90% of what passes for dialogue nowadays. To wit, the tweeting of a Donald Trump whose ambition is to become the “brilliant” new tweeting president of the US. It has become increasingly difficult to discern the authentic from the bogus. The presidential campaign is a mere symptom of a more pervasive deplorable cancerous mind-set. Whether the exoterism of what is even published on-line today will compensate the former esoterism of wonderful insightful articles languishing unread in academic libraries, remains to be seen. But of course this is a symptom of a deeper malaise (that a Kierkegaard might even call “the sickness unto death”) which has to do with the inability of people to really dialogue and commune with each other (different from merely communicating at an increasingly faster pace) with each other, and which may point to the real underlying problem: the loss of meaning in life; what philosophers define as nihilism, what a Victor Frankel wrote about in his Man’s Quest for Meaning. The second above mentioned phenomenon is less visible and therefore, like radiation, much more dangerous and lethal. It is in the very cultural air we breathe and goes by the name of extreme rationalism. It is an attempt to reduce the whole of experience to purely abstract utilitarian rational categories to the exclusion of imagination, the mystical, the transcendent, the emotive and the intuitive within reality; in short, to the near exclusion of the poetical. The poetical is reduced to frosting on the cake, to mere poetry to delight oneself or others at a wedding party. In ancient times this critique begins with Plato banishing the poets from his Republic. In modern times it begins philosophically with Descartes’ famous “Cogito ergo sum,” continues with Hegel’s dialectical historicism declaring that the synthesis of the thesis and the anti-thesis at the end of a process is always necessarily the best of all possible outcomes, and is underpinned by scientific positivism, the industrial revolution and the advent of Machiavellian “real politik” in the relations between nations wherein the end invariably justifies the means. Modern geopolitical science is an offshoot of this extreme Machiavellian realism. It is in short a mindset that believes itself “enlightened”, and therefore doubts everything except one thing: that it itself may still need enlightenment. It begins with the so called “age of reason,” which believes that it can easily dispense with what is childish: the fables and myths spun by poets and visionaries, the whole of the humanistic world based on the poetic. It believes that adults endowed with reason must preoccupy themselves primarily with issues relating to the economic and the political and leave the rest to the Don Quixotes of this world, i.e., the losers, as distinguished from the winners with billions in the bank. It is a mind-set unable to conceive that, as Vico believed, the poetical may well be complementary to the rational; that they may not be mutually exclusive; that both are indeed desirable and possible within a holistic view of Man. And so we get to the point that each individual that perceives him/herself thinking is convinced that he/she possesses the truth or can arrive at it individually beginning with the tabula rasa that is Descartes’ “cogito.” The slogan “everyone is entitled to his/her opinion” really means “to each his/her truth as he/she sees it.” Paradoxically, rather than the Cartesian “clear and distinct” ideas we have ended with the tower of Babel and herd thinking, the dystopian land of deplorable bigots devoid of consciousness and conscience roaming around as living dead; that is to say the land of the zombies headed by a tweeting leader admitting individual versions of the truth where at best the collective sum of all opinions is conceived as the truth, the collective, that is, headed by the head-zombie. One cannot but wonder on how we arrived at this sad state of affairs in the “enlightened” age of full-fledged rationality and scientific-technological inevitable progress. At first glance, Vichian paradoxical thinking (the both/and) seems to defy the Aristotelian principle of non-contradiction (the either/or). The various rationalists and mysologists of our era often parade as classical thinkers on Olympus, above the fray of the existential vicissitudes and the common sense cleverness of the "unwashed masses." They tend to present us with an isolated reason that gives no ground to the poetical and the pure intuitive promptitude of the mind as a mode of reasoning (as even a Plato did with his myths…despite his protestations against poetry). They seem to have no inkling whatsoever that such an operation is dangerous, sterile at best, because it can conveniently prove anything with its complete pseudo-impartiality, it can in fact choose any hypothesis to work from and then say “nothing personal,” I am presenting to you the reality of the situation and according to this ineluctable reality, willy nilly, certain necessities and conclusions are unavoidable. One of those necessities, so called, may be that eleven million people may have to put into gas chambers or perhaps deported, or perhaps shut out with barbed wires or a tall wall. That is why madmen’s arguments are so unassailable on the level of logic; they constitute their pride and joy. Hitler for one was proud of his talent for presenting logical iron-clad, unassailable arguments. It would appear that the more vigorously logic prosecutes its own internal pursuit, the greater is the danger of its turning away from direct experience and fact and losing sight of reality. Its arguments may be perfect, but it is a narrow and circular perfection; that of the snake eating its own tail. The rationalists who defend an absolute idealism are using the madman’s detailed reasoning; no contradictions or exceptions intrude into this perfect circle, because direct experience of different levels of reality is not taken as its own test. Logical consistency is more important to rationalists than the immediate reality of facts. They may even deny that if they bang their head hard enough against a wall it will bleed. At that point of failure of rationality, to disprove their point, all one can do is in fact bang their head against the wall. The above begs the question: why cannot reason meet its own test? Vico teaches us that it is not because the intellect is a useless tool, far from it. In fact he comes to its defense when he insists that pure reason is irrational reason, i.e., the use of an instrument against its proper aim. The mind is constructive, as those medieval thinkers well understood when they called logic an art as well as a science. Syllogisms are pieces of architecture; the mind must take the materials for this manufacturing process from life, through man’s entire perceptive apparatus. When reason takes upon itself the task of entire discovery and construction, it makes discovery impossible. That is the point where mythology is confused for children's fairy tales superseded by full-fledged reason, in fact, for this rationalistic mind-set, to call a story a myth is equivalent to calling it a lie. They would even expunge myths from Plato's philosophy. A sculptor who wants all the credit for his work is a bit vain if he is only jealous of his rivals or teachers (recognize the type? ), or his predecessors, and will inevitably end up in the futility of re-inventing the wheel. But if he is jealous of the marble and refuses any help from it, no statue will ever receive his proud care. This applies to the mind as well. When pure reason asserts that it will accept nothing which it cannot justify on its own terms, it proceeds to destroy itself. If Vico had taught us nothing but this he would still have been a great European philosopher. Descartes, on the other hand, wrote “Cogito ergo sum,” beginning his journey in the chamber of his own intellect, literally in a closet. Because he did not look out from that closet but at it, his journey never got under way; and the modern man is still sitting inside a narrow room cogitating on cogitation. If we are or exist only because we think, then logically we are what we think, and all things are what we think or do not think them. What a Trump declares in his tweets is the truth to be imposed with Machiavellian power on those who rebel against it. Indeed, the lunatic is God for whom thinking and doing are one and the same. The difference is that God is sane because he knows his nature and identity, the lunatic is insane. Rationalism’s attack on faith becomes also an attack on reason. The more astute rationalists (such as Leo Strauss, to mention one) will of course make a nice dichotomy between the two, even asserting that the reasoning in Plato’s Euthyphro is not a natural theology. But there are different degree of exhaustion by which a rationalist will re-invent the wheel. Another is pure volition which usually will take Nietzschean-existential forms, but because this was merely an escape from Cartesian intellection, it remained a reflection of it, opposed only as things are when reversed in a mirror. Rationalism is the ally of all unreason. In his motion of mere escape from reason, Nietzsche had to deny all perceptive tests and fixed norms of facts; but this takes away the point of the will, the grip and exclusion, the creative and destructive choices. It is a Dionysian worship of will, simple ecstasy and expenditure in the void leading to nihilism. It gives the will no goal, it carries the will nowhere: pure self-destruction. Dionysius is after all the god of dissolution. Vico teaches us that there is a higher dialectic: not that of the mind with mind but of mind with fact (the particular and the contingent) where men remember once again, via the poetical, that conclusions are made to follow but not to be. This is the fallacy of those who transfer the rules of the mind to external processes discerning necessity where there is none. Because the sun comes up every morning the mind assumes that it must do so. But repetition is not proof of necessity and it merely dulls our sense of wonder with which philosophy began. As St. Augustine aptly points out, the birth of any baby is more miraculous than the resurrection of Lazarus. To discern that the mind must first admit that it is not dealing with a fact that it did not invent but simply found. This is the wonder of being, of pure existence. When the mind so admits, then sanity returns. In conclusion, Western Civilization as a whole needs to heed Vico, who is the culmination of Humanism, and return to its origins. Is it time to think paradoxically: of the new as the old and of the old as the new: novantiqua. It is time to go back to the future. Time is fast running out. After Descartes, there is a dangerous tendency to separate the two cultural phenomena and consider Humanism either anachronistic, or superseded by 18th century rationalism. The inevitable result has been sheer confusion in the area of cultural identity. Consequently, at the crossroad of a critical juncture of the new polity called European Union, there is a pervasive talk of a “democratic deficit,” that very democracy that ought to be integral part of Western Civilization and underpins the very concept of freedom and autonomy. We are in urgent need of cultural guides to show us how to better harmonize the two above mentioned phenomena. I’d like to suggest that one such guide is Emmanuel Lévinas’ humanistic philosophy. In as much as it challenges the Western rationalistic philosophical tradition, it is extremely important for the emergence of a renewed European cultural identity. It explores in depth the threats to the authentic cultural identity of Europe, how modalities of thinking powerfully affect other ideas and shape a whole cultural milieu, sometimes with less than desirable consequences. A few background biographical details may be useful to better understand Lévinas. He was born in Lithuania in 1906. In 1923 he moves to Strasbourg to study under Husserl and writes a doctoral dissertation on his philosophy. There, he also comes in contact with Heidegger’s philosophy. The dissertation on Husserl’s phenomenology gets published in France in 1930 and reveals that, even at this early stage, Lévinas is beginning to take his distance from Heidegger. He enlisted in the French army, was captured in 1940 and spent the remaining five years of the war in two prisoner-of-war camps. Upon being liberated he returns to Lithuania and finds-out that his parents and siblings had been killed by the Nazis, while his wife, whom he had left behind in Paris, had survived thanks to the help of French nuns who hid her. He became a teacher and administrator in an institute for Jewish education in Paris (l’alliance Uneversel Juif); there he begins to study traditional Jewish texts under the directorship of the Talmudic sage Mordechai Shoshani to whom Elie Wiesel (who also studied with him) devotes a chapter in Legends of Our Time. In 1961 Lévinas defends the first of his two major philosophical works (Totality and Infinity) before the philosophy faculty of the Sorbonne becoming a professor of philosophy. His second major work bears the title of Otherwise than Being or Beyond Essence. Those are the basic events that dramatically change Lèvinas’ thinking. Prior to World War II he had merely criticized elements of 20th century Western thought; afterward he begins to attack the whole European philosophical tradition, especially its culmination in Heidegger’s thought, for what he considers its indifference to the ethical and its “totalizing of the other.” He begins to indict western philosophers in general for an uncritical reliance on vast concepts, such as Hegel’s “Spirit,” or Heidegger’s “Being,” which assimilate countless individuals to rational processes, thus negating their individuality. To be sure Kierkegaard had also criticized this totalizing Hegelian tendency, countering it with his existentialist philosophy. Those who understood his critique only too well, promptly proceeded to relegate his thought to the theological within a false dichotomy (shown absurd by Thomas Aquinas way back in the 13th century) of philosophy/theology, thus insuring that Kierkegaard would never be as influential as a Hegel or a Heidegger. In any case, Lévinas too argues that this taken-for-granted totalizing mode of doing philosophy in the West denies the face-to-face reality in which we—philosophers included—interact with persons different from ourselves. He argues that this “face-to-face” realm is not the same thing as the realm of abstract concepts. It possesses its own texture which is primarily an ethical one. In this domain we are challenged by “the otherness of the other person.” It is this “otherness,” which is an integral characteristic of human life, but the Western philosophical tradition has overlooked and even negated it, thus contributing to the dehumanization of Man. Lévinas' life and thinking were deeply affected by the trauma of the Nazi genocide, better known as the Holocaust. But what is unique about his thinking is that it refuses to make those monstrous events its core subject matter. As Derrida, who admired Lévinas' philosophy, aptly expressed it once: the danger of naming our monstrosities is that they become our pets. Lévinas' writings provide no extensive discussion of the Holocaust itself; therefore, the assumption, on the part of those who were thinking and writing on it, has often been that Lévinas could not be considered a valid source of philosophical insight into this dark period of human history. But that is an erroneous assumption, just as invalid as the assumption that he unreservedly admired Heidegger's philosophy because he happened to have translated it into French. As a matter of fact, Lévinas' thinking is a reaction to the Holocaust by the mere fact that it asks the crucial question: What does it mean to be a human being? This crucial question goes back to Socrates and, more recently, the Italian Humanism of the 14th century. Were one to encapsulate the whole of Lévinas' philosophy in two succinct words, they would be "being human." This philosophy insists throughout that an extreme, unbalanced rationality devoid of imagination, feelings, senses and spirit, unconcerned with the ethical dimensions of life, is the equivalent to a refusal to be human, it is to allow oneself to become a monster. Lévinas' attack on what he considers negative elements of the Western philosophical tradition begins with analyses of the philosophical roots from which sprout the extreme individualism of modern times, and the reaction to it, extreme nationalism. Not unlike Vico in the 18th century, he individuates such a root in the Cartesian ego, an autonomous center of consciousness which in modern philosophy has assumed the function of a paradigm for thinking about human beings. Lévinas does not deny this world-constituting ego, rather he leads it to the discovery of an ethical core within itself; which is to say, he uncovers another root growing within the first root which he calls the "self." The conundrum seems to be this: if it is true that the ego does the conceptual work of philosophy by announcing what there really is in the world, how can this ego then acknowledge the essentially ethical "self" which lives within itself? Somehow a bridge has to be found between this limitless power and freedom of the independent intellect, and the particular concrete ethical obligations to another person. For, this ethical self, unlike the ego, finds itself caught up with the welfare of the other prior to a conscious, rational decision, in a recognition, even when unwilled, of his/her humanity. Indeed this ethical capacity seems to come from another place than our rational powers of analysis evidenced within the Cartesian ego. Even if we grant that such an ego is adequate in identifying the truths of philosophy, it somehow remains unable to acknowledge a domain where there is no choosing of the connection with the other; in fact the other way around may apply: the other chooses me, one is "already responsible" for the other prior to any rational analysis. And here is the philosophical paradox: Lévinas' task becomes that of using rationality to take the Cartesian ego beyond rationality, somewhat similar to what Vico does with his concepts of fantasia, which for him precedes rational reason, and the concept of Providence who guides human events and is both immanent within history but also transcendent. Which is to say, the rational ego has to be brought to recognize a sort of enigmatic "ethical" truth which Lévinas calls "pre-originary," i.e., arising outside, prior to the usual time-line of the reflective ego. In attempting this operation, Lévinas will proffer statements such as: ethics is "older" than philosophy, it is "first philosophy," on the scene before the arrival of rational philosophical thinking; something ingrained in being human. Within purely classical categories, that may be equivalent to the Socratic preoccupation with dying well by living a life of integrity and devotion to truth, as exemplified in Plato's Apology. It is this ancient voice of goodness, which even Vico's pre-historical "bestioni" possess to a degree, a voice often overlooked by rationalist philosophers, but powerfully present in Talmudic texts, that Lévinas finds strangely silent in the modern Western philosophical tradition. In more mytho-poetic language, it’s as if Lévinas were to come face-to-face with the goddess Europa, as she is being abducted by a black bull (Zeus in disguise), to journey to another shore, there to assume a different persona, and he were to ask her, “Europa quo vadis?” after warning her to remember her original identity: “nosce te ipsum”; which is to say, go back to the future and know yourself holistically: know your Greco-Roman origins, yes, but also the Biblical tradition (the foundation for Christianity), the Christian heritage, the Humanistic synthesis of Graeco-Roman and Christian civilizations, Celtic and Germanic cultures with their ideas of freedom, the universalizing Enlightenment rooted in the democratic-scientific tradition born in ancient Greece, the Islamic influences. Voltaire and Descartes yes, but Vico and Novalis too are part of your identity. Your unity will be a chimera if it is only a unity of a bank and neglects its spiritual elements. Undoubtedly this hermeneutics, or re-interpretation of the Cartesian ego, placing at its core an non-refusable responsibility for the other without granting the ego any time to think it over and choose, so to speak, challenges some of the most basic assumptions of modern, and in some way classical, rationalistic philosophy. Not since the times of Maimonides in the 13th century had a Jew dared such a fundamental challenge from within the Western philosophical tradition. It is the challenge of Paul to Greek culture revisited. For indeed Lévinas is saying nothing short of this: the knowing ego does not exhaust what it means to be human. Some have called his philosophy one of “ethical subjectivity,” as a way of dismissing it as the raving of a lunatic, just as the ancient Greeks dismissed Paul as a lunatic in the agora. For the serious reader, however, it is rather a re-definition of subjectivity face to face with a totalizing kind of Cartesian reflection. While Lévinas does not write directly about the Holocaust, other thinkers, who influenced Lévinas, were nevertheless reflecting upon the philosophical implications of this dark event of human history. One such was Berel Lang who wrote an essay titled “Genocide and Kant’s Enlightenment,” which appeared in his Act and Idea in the Nazi Genocide. In this essay Lang uncovers certain lines of affinity between some classical aspects of Enlightenment thought, and the Nazi genocide. His conclusion is that there are two important aspects of the Enlightenment that formed the intellectual heritage, which needed to be in place, for genocide to occur in the heart of civilized Europe: namely, the universalization of rational ideals, and the redefinition of the individual human being in terms of its possessing or not such a universal rationality. The genocide, Lang argues, was aimed at those groups who stuck to their own ancient pre-Enlightenment sources of particularistic identity, considered “irrational.” Hence the racial laws and racial exclusion were expression of ingrained Enlightenment prejudices. Which is to say, the Enlightenment sheds light on everything except itself; even today, it remains to be enlightened. This powerful essay leads many cultural anthropologists comparing civilizations, to begin to wonder: which, in the final analysis, is more obscurantist: religious fanaticism and fundamentalism, or a so called “enlightened” era throwing out the window the baby with the bathwater, arrogantly refusing any suggestion that it ought to enlighten itself, and do so not narcissistically, via its own light? This analysis conjures up that terrible face-to-face encounter of Dante with the poet Bertrand Del Bornio in a cave in hell doing “light to himself” with its own decapitated head. There we have reason eating its own tail; internal logical thinking assuming the grammar of lunacy. I dare say that such a question has not been satisfactorily answered yet. In that question lies the challenge of Lévinas’ philosophy: in its displacing of the centrality of Cartesian thinking within modernity, in order to re-center it around ethics: the face-to-face encounter with another human being which is always hopeful unless it occurs in hell. Everything we have discussed above begs this particular question: is Lévinas’ challenge to the Western philosophical tradition philosophically tenable? To answer the question adequately we need to be first aware that Emmanuel Lévinas, as well as Hermann Cohen and Franz Rosenweig (the author of Echoes from the Holocaust: Philosophical Reflections in a Dark Time, 1988), are representative of learned European Jews with great familiarity with the texts of both the Jewish and the Western philosophical tradition. They challenge the latter exactly because they are so knowledgeable in both. Lévinas is fully capable of confronting the intellectual traps of those rationalists who would relegate him to the sphere of theology; the same operation some have attempted on Aquinas and Kierkegaard. To the contrary, he insisted on writing in both spheres and claimed that Jewish religious textuality contains hitherto unexplored philosophical insights. For this is a tradition which puts great emphasis on interpersonal, social and familial relationships; phenomena not contemplated in traditional Western philosophy. Which is to say, the challenge is to Western philosophy’s totalizing pretense, beginning with Plato, that somewhow it can gather everything up in one synchronic whole. It is that challenge that irritates our modern control freaks, bureaucrats, thought policemen, rationalists and mysologists galore. It goes a long way in explaining their attempt to relegate Lévinas’ philosophy to the sphere of the merely religious and mystical. Finally, let us briefly examine how Lévinas develops this fundamental challenge to Western rationalism. He names both the texts of Jewish tradition and philosophical discourse “the said,” while calling the living activity of interpretative struggle (its hermeneutics) with the texts, and the self which suffers for the other, “the saying.” It’s a rather familiar dichotomy between theory and practice which led the likes of William James to declare that if one wants to know what a man really believes in, ignore what he says and pay attention to his actions. The said always tries to capture the saying, which may partly explain the ancient grudge of Plato towards poets (see Plato’s Republic, book X, on Homer). In any case, it is the saying which launches the said and puts it into circulation. The saying echoes outside of space and time destabilizing the comfortable, rationally secure positions rationalists take up in the said, in conceptual truths (thought to be universal and eternal), in a secure totalizing kind of knowledge. Yet it is this very destabilizing process that injects the ethical outward-directness into the said. Lévinas will often contrasts the saying’s vulnerable openness to the other (which he calls “being ex-posed) with the said’s relative security (which he calls “exposition”). He asserts moreover, that there is a rich unexplored relationship between the way we are “ex-posed” in ethics, and the life “exposition” we use to analyze and order the world. Indeed, this is a new, essentially Jewish, philosophical reflection which places into question the claim to totalizing completeness, by an appeal to the priority of ethics. It insists that any person that confronts me, needs to be placed outside the totalizing categories seeking to reduce her/him to an aspect of a rational system. Basically, what Lévinas is doing is relocating our dangerous ability to deny others their legitimate sphere of difference; an ability which is capable of destroying our own humanity. This is nothing short than the core struggle for the achievement of moral humanity which was also the root ethical aim of Vico’s New Science. Like Vico, Lévinas shows us the way to keep the benefits of universal Enlightenment ethics while avoiding its perils. For, his ethics is not based on a totalizing sort of universalism, but on the particular concrete needs and demands of each unique individual, every “other’ that I meet within time and space. Every time I meet the other, she/he constitutes an ethical challenge to my Self, a challenge as to who I am as a human being. After the long detailed analysis of Croce’s thought within the context of Christianity by Fr. Ambrogio Manno titled Beyond Benedetto Croce, it is no longer possible to interpret the thought of the great Italian philosopher as that of a secular thinker, devoid of any religious spirit hermetically closed to issues pertaining to faith. This is so, not only because the same Croce has repeatedly declared the contrary, as when he calls his liberalism “a religion of freedom, or as when he expressly places himself and Western history within Christian civilization in his very famous essay Why we cannot but declare ourselves Chistians. The issues explored by the long research of Fr. Manno demonstrate, in fact, the problem of religiosity and therefore of faith, of God, of the soul within Croce’s thought. Even if Fr. Manno has no intention to present to us a Croce who believes in a revealed God (which would have been disrespectful toward the philosopher, for the Christian world, for the truth, he does intend to signal polemically the eventual discrepancies and, within a common construction, the possibilities of a dialogue. There are very few other readings on Croce, that I know of, that follow this example. There is that of Caracciolo, of great merit, and even that of the secular Franchini, who reproposes the whole issue of immanence and transcendence beyond the old paradigm which places transcendence wholly absorbed by an absolute immanentism as shown by the great philosophical journeys such as that of Giordano Bruno, Spinoza, Vico, Hegel and the same Croce; all men who in the final analysis were all deeply ethically religious. It is within this context that I would place these sundry reflections, which are in no way definitive, and even less they intend to betray, for any practical motive, the substance of the great philosopher’s thought. In fact, there is no doubt that, were we to look at the totality of Croce’s work, at the paragraphs written in the 80s, the issue of the soul, is confronted in the classical sense of modern and contemporary philosophy, in the guise of the first Kant, that is to say, the Kant of the Critique of Pure Reason. What is negated on many occasions, is the alleged improper passage between the psychological idea of the soul and the substantial idea of the soul itself. Just as with the ontological proof of the existence of God which thought attributes to what is thought as thought, cannot legitimize, for Croce, the thought that God or the soul live their own real autonomous existence; that is to say, autonomous from thought itself. It would be enough to read, among the many controversial pages written in regard, those that are more rigorously theoretical found in his Logic, where we can retrieve a discussion of the predicate of existence, of the individual judgment and of the defining judgment. It is difficult, up to now, to look for other hidden meanings and affirmations that are clear in their own argumentation, even though, even in this case, as in many others, there are allusions to the issue of the soul and of divinity in the Christian tradition. In his whole opus one is conscious of an oscillation between a polemical stance toward Christian Catholic literature and other stances of absolute respect, almost a nostalgia. Which proves that the same Croce would authorize the affirmation that philosophy, even when abstract and hermetically closed within the reasoning of logic, is always born, as does life itself, from passion, from individual situations historically determined. Having said all this, we must nevertheless point out that the issue of the soul returns in Croce’s thought not only in many hermeneutical issues, critical essays, reviews, commentaries, annotations, but also at fundamental places of his philosophy. A crucial place is that where Croce discussed what he calls volitional habits, of the character of inclinations which render uniform the concrete individual of flesh and blood; even if in purely logical terms, we are able to demonstrate that the individual person is nothing else but an empirical concepts, given that real existence is not found in the person, but in the concrete actions that such a person performs as creations, be they bit or small quotidian creations. The above passage precludes the possibility of speaking of the soul in a transcendent mode. But that does not mean that it is wholly negated; to the contrary, the moral psychological position of Christianity is reaffirmed. For what else are those peculiar characteristics that an individual possesses from the experiences of life? As Croce puts it: “The conflicts that result as we search our tasks in life can be expressed in the words that religion has taught us as children: the words of a vocation and a particular vision that is given to each one of us in life, till the final judgment and the final goodby: Nunc dimitte servum tuum Domine.” It is this duty, or mission or vocation which constitutes the individual characteristic which, as we have seen, is and it is not the result of the historical experiences which generate the physiognomy and the character of the individual. In a few previous pages Croce had written that ““Every individual, depending on the circumstances under which he comes into the world, is naturally furnished, as the saying goes, with certain determined characteristics; others he acquires in life via events and experiences through which he goes through and the actions that he performs.” This words are somewhat ambiguous, given that Croce who is the philosopher of total historicity, is here leaving a little space to fundamental unconditioned human nature. An ambiguity which shall return in the pages of one of his greatest and faithful interpreters, Carlo Antoni, in his Comment to Croce and The Restoration of the Natural Rights. It goes without saying that because we may accept the existence of an individual characteristic derived from nature, pre-historic, unconditioned, we still could not transfer this naturality, so to speak, to the concept of soul in a theological sense. Be that as it may, we do not intent to force the interpretation of Croce, even less we intent to change his thought. But it remains a fact, and we need to be aware of it, that even in this classical text, still not influenced by successive tragic historical events which will lead Croce to a less secular and more religious stance, we do not detect a complete foreclosure to the issue of immanence and transcendence. Indeed, this is what we are ultimately dealing whenever we set up the problem of the nexus between natural characteristics and historical characteristics which become immanent exactly because they are transcendent. by way of a dialogue. Thank you Ernesto for this lucid excursus into Croce’s stance on the Christian concept of the soul. I for one learned much from its intriguing aspects. Especially illuminating is the Croce review of Mazzantini’s book on the soul. You are undoubtedly right in individuating Croce’s philosophical problem with the soul’s concept as similar in some respect to Vico’s problem with the concept of Providence. They are similar, it seems to me, because they both deal with the thorny issue of the harmonization of what is transcendent and what is immanent in their thought, which may initially appear as logically mutually exclusive. That is why, I would wager, Croce’s stand on the soul remains ambiguous. As one of the first modern philosopher who discovered and promulgated Vico’s philosophy, Croce was very aware of this Vichian conundrum and thus he could not bring himself to “a complete closure of the issue of transcendence and immanence” as you well observe. For the sake of the readers who may not be very familiar with the two philosopher’s thought allow me please a brief excursus of my own on the concept of Providence in Vico which is at the same time immanent and transcendent. Indeed we could go all the way back to Aquinas on the perennial issue of transcendence and immanence but let’s us stay with Vico and Croce who are better situated within modernity. As you know, one of the most misunderstood concepts in Vico’s speculation is exactly that of Providence. Within Vico’s concept of Providence there are two complementary poles, namely transcendence and immanence. Some have misguidedly attempted a resolution of the antinomy by searching for the right rational middle ground, much the same as some physicists attempted to discover the elusive middle ground between the corpuscular and the wave theory of light without arriving at a resolution of the paradox that is light. Ultimately quantum mechanics showed us the way. It is not a question of either/or but one of both/and. The way lies in returning to origins, for as Vico points out, doctrines must begin at the beginning of the matter of which they treat. Intuitive knowledge is surely one approach to truth just as valid as rationality. Both Vico and Croce were convinced of this. It is not trendy, in the relativistic times in which we live, to speak of ultimate beliefs and values, or of the autonomy of truth from power and human volition. On the other hand it is not in vogue either to oppose to an abstract rational vision of reality the concrete world of art, music, poetry, history. The power of abstract reasoning, since Descartes and the Enlightenment, is still seen as the supreme achievement of Man. And yet it is precisely this cold, calculating reason that needs to be humanized by harmonizing it to the passions, the sentiments, intuition, myth, imagination. Some have seen the solution in the Nietzschean alternative but, as already argued in our previous issues of the Ovi symposium, such a road goes around in circles and leads nowhere. Vico was in the middle of two views: one about to die, and the other yet to be born. Croce had brilliantly intuited at the beginning of the 20th century that Vico was the hinge between ancient and modern aesthetics. Where Croce may have gone astray was in seeing Vico as a precursor of Hegelian idealism to then subsume him under his own theory of aesthetics. But the fact remains that even without a Hegel Vico was the first to understand the function of myth in history and its importance for human creativity. It is Vico who discovered that myth is the first form which truth assumes in revealing itself. It is nothing less than the first historicization of the Eternal. Theologically, that is what the Incarnation is all about. From this historical event understood philosophically issue logic, morality, economy, politics. For Vico myth is the sign of the first transition from the bestial to the rational and contains religious reverberations even when it appears contrary to religion. Croce understood this too, hence the ambiguity and the nostalgia for the religious notions he had learned as a child which you mention in your presentation. For, indeed myth is the veil of transcendence appearing under the form of the particular in a concrete historical moment and in which the whole of reality manifests itself. For Vico myth is an “imaginative universal” which expresses historically the development from poetic wisdom to rational wisdom. It is a religious truth manifesting itself as a “perturbed imagination.” What is at work here is a complementary movement of the Divine coming down into the human and, vice versa, of the human aspiring to the Divine; finitum quod tendit ad infinitum, that is to say, the principle of complementarity: two seemingly contradictory poles paradoxically related and complementary of the same reality. At its primordial origins Being confronts primitive man (that Vico calls the bestione, a wild creature with little if any reflexive mode of thought) who becoming aware of the phenomenon reacts in fear with a gesture or a scream. Something is born with that scream! A scream, in fact, usually heralds human birth. Nobody is born philosophizing. Next, the “bestione” articulates words to express a vision and a myth is born. Within that myth resides the primordial objective voice of Providence to which the bestione had originally reacted. Thus we have reached the crux of the paradoxical complementarity of transcendence/immanence in Vico’s concept of providence to which are assigned two complementary poles: pole n. 1, transcendence: God understood as a transcendent reality with ontological existence underpinning the whole of creation, including Man’s nature. Pole n. 2, immanence: the representation (arrived through fantasia and reason) of a providential divinity operating in human affairs through chance and accident. Those poles are complementary. A useful metaphor for the elucidation of complementarity within such a concept is that of the olive tree: depending on the direction of the wind the tree will appear either green or silver. Actually it is both green and silver since its leaves are green on one side and silver on the other. To perceive only one color is indeed to miss half of the reality of the olive tree. Donald Phillip Verene also uses the metaphor of a tree to characterize Vico’s dialogic language. In his Vico’s Science of Imagination he writes that “Vico’s ‘New Science’ demonstrates the importance of a language that can preserve opposition without resolution. In this sense it is a true language of humanity whose actual life is not that of the category…What is lost in the fatigue of history…is the language that can speak in two ways at once, that can produce both the mute imitation and the monosyllabic interjection. This language that originally gives life to the whole is not monologic. It is dialogic, reflecting the opposition of the branches of the tree which themselves reflect the duality of mind” (p. 219). Verene is saying that in a rational era like ours, when imagination is weakest, this dialogic character of language (that is to say, a language that can encompass opposite and even contradictory statements) is usually lost sight of. Imagination is then narrowed to the mere aesthetic. The question here arises: did Croce perform such an operation with Vico’s “fantasia”? This a problem with which I contend in my Ph.D. dissertation at Yale University (1989). I have since changed my views on Croce’s stance in the matter, in part due to the reading of your lucid expositions of Croce’s philosophy. There is indeed much more affinity between the two Neapolitan philosophers than used to be surmised. Examining more closely those two complementary poles we notice that in the first place the immanent pole of the concept of providence produces two effects: 1) it reveals the mental level reached by primitive man, and 2) it is a means (named guisa by Vico) used by Providence to persuade man to return to his natural good, i.e., social life. If we keep in mind the distinction between cause and occasion, it follows that this idea of divinity (i.e., the second immanent meaning of providence) could not possibly have arisen in primitive man’s conscience unless God had been at the origin of man’s being and had placed within man’s conscience a religious structure which, even when corrupted, remains alive as fire under the ashes. Thunder is this occasion which allows the reemergence of the idea of divinity. In Biblical language they are called chance and accident. When Providence as a transcendent ontological reality operates through man’s conscience, it avails itself of the common notions of eternal truth, namely the idea of a providential divinity. Those are two poles of the same concept which to the logical mind appears as a paradox. What needs to be done is to reorient one’s thinking and see the two poles as complementary of the same reality: while it is true that through chance and accidents the idea of providence brings man back to God, it is equally true that Providence uses this providential idea immanent within human history to bring man back to his own good. The reader should take particular note of the frontispiece to Vico’s New Science which reveals the eye of Divine Providence in the left upper corner from which proceeds wisdom and knowledge and philosophy itself. While providence operates through natural ways and means and reveals itself immanent within human reality, it nevertheless remains a sign of divine order even within such an immanent revelation, for as Vico renders it “without order (which is to say, without God) human society cannot stand for a moment” (SN, 1100). In Vico there is always the presupposition of a creation prior to the mind. Man is never the exclusive protagonist of history as idealists and/or positivists logically assert after jettisoning the pole of the transcendent from Vico’s concept of providence. Croce never does that altogether although he struggles with the antinomy. Within idealism, in fact, more often than not Vico’s concept of providence is reduced to nothing more than a sort of Hegelian human rationality or “natural necessity” or merely impersonal forces branded as “the irony of history.” Thus Vico is distorted and subsumed under what is purported to be a more advanced idealistic paradigm. What is lost sight of is the complementarity inherent in Vico’s dialogic language. Vico, and Croce too, and please correct me if I am wrong, seem to see within history a ceaseless dialectical effort to lower the transcendent within the human and to raise the human to the transcendent. There is no hard and fast assigning of priorities and no ultimate synthesis. Throughout the New Science oppositions are preserved without any resolution. I think the same applies to Croce progressive aesthetic philosophy Man’s mind remains both a symbol and an instrument of God’s mind. Therefore, the idea of providence as generated by Man’s mind is both the idea he has of it (immanence) and the revelation through this idea of something, better still, of Someone who transcends that idea (transcendence). In Vico there is Plato (the universal) on one end of the pole of providence, but there is also Tacitus (the contingent facts of history) on the other end held together in a complementary relationship. Vico’s providence operates through the human heart and human events and is not dissimilar from the Biblical concept of providence as revealed in Joseph’s story. In fact, Western man’s historical consciousness of which Vico is the father, issues from Biblical historical consciousness. The transcendent Being who is the ground of the human mind is the same Being who made the nature from which the human mind evolves. Sagan is correct in that respect: we are made of the stuff of the stars. Where he wholly misses the point is in not being able to discern, as Dante certainly could, that God made those stars in the first place and that his loving care keeps them moving; that as Vico points out, since the human world of nations has not come about by mere chance (it being an occasion utilized by Providence), being is none other than God. It can be concluded that Vico is the precursor of a tradition that, while remaining grounded in Platonism, searches for the relation between absolute values (Plato’s Republic) and the world of contingency (which Vico calls rather descriptively “the feces of Romulus”). Transcendence is to be located in the immanence of the temple of the human conscience. The Cartesian scientific paradigm insists in seeing this nexus as an unbridgeable antinomy, as a paradox of sort. But it is precisely this paradox that appeals to contemporary man, disillusioned as he is with neat dispassionate and abstract theories of knowledge and ideologies reducing Man to a cog in economic-social schemes. This disappointed man is acutely aware that what is urgently needed is a mode of thought that is both more human and more existentially related to life’s experiences and the transcendent concerns of his humanity. I think that Croce too was aware of the acute disappointment of modern technological man and therefore he could not bring himself to oppose the resurgent argument on the defense of the soul of a Carlo Mazzantini, as you well explain in your presentation. I remain confident that this perennial and crucial dialogue about the harmonization of reason and faith will be an ongoing one in the pages of the Ovi symposium. We active participants invite the readership, the editorial staff and other Ovi contributors to join the dialogue by participating in it indirectly via public or private comments. Those comments can be personal and subjective or they can be rigorously objective and scholarly. I think we have provided plenty of examples of this dialogue between faith and reason. It is a crucial dialogue impinging on our humanity. The practicing of a religious orthodoxy is not a requirement for it; it may not even be desirable, for religious fanatics do not usually make good philosophers. What is simply required is a love of ideas, for philosophy, and a passion for the search for Truth. One of the key points that I took from Maimonides was his assertion that logical training combined with imagination, as granted by the “the Active Intellect” produced the highest good, namely, prophecy. Prophecy could well be seen as one of the highest expressions of faith, since it deals with the understanding (and prediction) of what God will do in the future. Interestingly enough, Maimonides asserts that only those who have a non-defective natural mind, logical training and imagination can see both in their dreams (while sleeping) and in their visions (while awake) what God will bring to pass. So here we see faith being firmly grounded in logical thought and training. Perhaps this is why Jewish people often see different points of view, as they exercise their logical mind and seek to understand different perspectives of the same event. An example of this is the old joke where two townspeople went to their rabbi to solve a dispute. When the first man finished his side, the rabbi answered him and said, “You are right!” To this the second man said, “Wait, you haven’t heard my side yet!” So he proceeded to tell his side of the event, and when he had finished the rabbi answered him and said, “You are right!” An onlooker to the proceedings said, “Rabbi, they can’t both be right!” To which the rabbi replied, “You are also right!” This is exactly what I experienced growing up during the holidays, when many different interpretations of an event, or events within the holiday (specifically the Passover) were given. It always puzzled me as to why there was never one “correct” interpretation. But if the goal is to develop different logical interpretations, then, the presentation of those interpretations is enough. And thus the foundation for receiving Divine truth was laid. It is interesting to observe that learned people in Judaism always focus more on the logical understanding of what God did, or does in this human life. In fact, this yields the more pragmatic approach to life that many Jews adhere to, and how they often look for logical to religious questions, such as keeping kosher. Jews who keep kosher are often quick to point to the health benefits of doing so, and note that at the time the laws were given, less was commonly known about disease, healthy living and cleanliness. And thus, the laws given to guide the Jews into healthy living were logical as well. carry the Jewish people into their own independent state. It worked beautifully. Eliezer even designed the way to teach it so it could be done quickly, in about one year for an average person. Eliezer Ben Yehuda’s vision came to pass, and today, Hebrew is modern language, taught to and used by all Israelis. This for me is an example of how an imaginative intellect, combined with logical training allowed Eliezer to accomplish that which Maimonides describes as prophecy. These teachings have brought into focus for me that logic is not an enemy of faith, but indeed is the foundation for it. Logical training is a necessity for all who wish to achieve higher stages in life. With that logical training and a little imaginative intellect, perhaps we can all achieve that pinnacle of prophecy, which comes with faith. The philosophical dimension of religion can be more powerful than its institutional and ritual dimensions. It should be through the philosophy of religion (although seemingly contradictory to the mind of the orthodox and fanatic), that one can explore the essence of the dialogue between what Hassidic philosopher Martin Buber calls, the Thou and the I, the Ultimate Self and the Ultimate Reality, or between Man and Creator. This is what is meant by the cosmotheandric nature of mystical discourse. Those familiar with Buber’s; philosophy will agree that the idea of the dialogical “I-Thou” contains a profound statement of Man’s ontological vocation, a cosmotheandric view can best be an avenue which can appeal to educational philosophers intending to explore universality in mystical thoughts. For societies struggling to understand the potentials of an interfaith dialogue, this idea can be a good starting point for dialogue. Universalism in Transcultural Philosophies. Let me illustrate some of the salient mystical ideas in tune with Buber’s “relational philosophy”; namely those from the Christian, Buddhist, Hindu, Taoist, and Islamic traditions. The cosmotheandric dimension of I-Thou relation in the variety of religious experience points out to the Ultimate Reality and the illumination to self of which when this stage of enlightenment is achieved the “goodness” in Man is drawn out, Humanity reaches its moral epitome and the I-it world is imbued with the presence and vision of Thou-ness. In Christianity it is the Jesus of Love and the love of Jesus, which runs through the idea of the setting of the precondition of the I’s rendezvous with Thou. Illustrations of the yearning for self-illumination and the inner beauty of self-government is St. Francis Assisi’s parable of the seeker of God and poor man of a church, the Master of his own kingdom: The Master asked…: Whence are you come?’“From God” Where did you find God?’ When I forsook all creatures’ When have you left God?’ In pure hearts and in sea of good will.’ The Master asked: What sort of man are you?’ I am a king.’ Where is your kingdom? ‘My soul is my kingdom, so I can so rule my senses inwards and outward, that all the desires and powers of my soul are in subjection, and this kingdom is greater than a kingdom on earth: ‘What has brought you to this perfection? My silence, my high thoughts, and my union with God. For I could rest in anything less than God. Now I have found and in God have eternal rest and peace. (Underhill, pp. 209-210). In Buddhism, the self acknowledges the Thou-ness of his/her existence through meditation and the following of the noble path in order to for Nibbana to be attained. The I-it world can only reach salvation and prepare the meeting of the Thou through the Noble Eight-fold Path that leads to the cessation of suffering (Radhakrishnan & Moore, 1967) which among them call upon Man to: know suffering, the origin of suffering, the cessation of suffering, and the path that leads to the cessation of suffering; … to renounce the world and to do no hurt or harm; … to abstain from lies and slander, from reviling, and from tattle; … to abstain from taking life, from stealing, and from lechery; … (p.277) It is when these are taken to be a part of one’s program of self-purification that the I-it world may be raised to a higher level of consciousness. In the Hindu tradition, the I-Thou meeting can be preconditioned by Man’s adherence to the Law of Manu, a code of conduct written as metrical sutras of which deals with the religious, legal, customary, and political aspects of the Hindu philosophy. The aim of life as conceived by the Hindus is to obtain fullest realization of his/her existence through dharma (righteousness), artha (wealth), kama (enjoyment) and moksha (spiritual freedom) (Radhakrishnan & Moore, p.172). Man is to live anthromophically with Nature in a world wherein beings and non-beings have their significant in the cosmic and metaphysical order of creation. It is when the world is looked upon as an “It” -- to be dominated and peoples to be utilized that this order is violated and Mother Earth is raped and the cycle of destruction begins. In the Taoist tradition, the character of Lao Tze, controversial to many a Confucionist of his philosophy of Nature, is an epitome of the “Thou-ness” in thought. In Lao Tze, Nature is not to be tampered with at all, illustrative in his symbolic metaphor of the uncarved stone of which creativity of Man would carve into representations. If there should be a great grandfather of ecophilosophy, LaoTze would be one. In one of the most powerful dialogues in the Taoist philosophical thoughts, in which Kung Fu Tze (Confucius ) is said to visit Lao Tze to consult him in matters of propriety: Lao Tzu said: “Those of whom you talked about are dead and their bones are decayed. Only their words have remained. When the time is proper, the superior man rides in a carriage, but when it is not, he covers himself up and staggers away. I have heard that a good merchant stores away his treasures as if his store were empty and that a superior man with eminent virtues appear as if he were stupid. Get rid of your air of pride and many desires, your insinuating manners and lustful wishes. None of these is good for you. That is all I have to tell you. (trans., Chan, 196, p.36). The essence of the passage and of Taoist philosophy is to live a life of humility through the subjugation of the Ego. It is this essence of naturalism in philosophical though which has brought Lao Tze’s mysticism comparable to Buber’s “Thou-ness” in which nature is seen as one amongst the many beings in the world of the Thou. The Tao The Ching (The Way) is to be followed in order for Thou to meet the I in the Taoist tradition. The Islamic conception of mysticism must begin with the mentioning of the Prophet Muhammad as one of the world’s greatest mystic whose entire life was spent preaching the Thou-ness of living. Allah (God) is to be made present in the heart mind and soul of the believers so that the I-it world may become one in submission to the will of the Supreme Being. Peace for, oneself, for society, nations and the world order can be attained by adhering to the true spirit and meaning of the Quran. The mystical aspect of Islam nonetheless involves one to take the path to self-purification best illustrated by those “seeking God” through, among those, Sufism. The writings of poet mystics such as Qadir Jailani, Fariduddin Attar, Jalaluddin Rumi, Omar Khayyam, Al Ghazalli and of one widely recognized in the west, Idries Shah, illustrate the Thou-ness of the tradition. The popular profound sayings of the Islamic mystics “know thyself and you will know God”, and “God is closer to you than your jugular vein” has remarkable similarity with the Hassidic belief of the closeness of God to those who seeks to meet Him through his Grace. It is to be noted that Moses and Jesus are revered to be two of the major prophets of Islam and the monotheism in these two are but a continuation of the God’s message brought also by Muhammad as the last prophet in the lineage of those beginning with Adam. Thus, the mysticism inherent in the religions I have scantily mentioned point out to the cosmotheandric paradigm inalienable to Buber’s idea of I and Thou. It is my view thus that the inherent philosophical aspects of those religious traditions points out to the need for their believers to work towards peace from within the self so that this boundary can then be extended to others, to beings and non-beings and ultimately to the planet and cosmos in which then, we will realize that all there is the Thou of whom which we are to provide rendezvous. It is when the self is “lost” in the finiteness of the Thou that humanity can take its true character and that the ego is subjugated from its need to manifest all forms of behavior and acts anathema to the Thou-ness of the I. Politics, being the art and science of constitutionalizing and unconstitutionalizing of power relations, has been a predominant influence of the ego that Man has been veiled by the notion of the apolitical and beauty of the Inner self. Man has created psychological, cultural, social, economic, political and global structures which mirror the triumphs of the ego over the primordially pure and peaceful self. This may perhaps explain manifestations of mania that have historically colored our activities as human beings: The two World Wars, The war on Terror, The invasion of Iraq, the situation in Aleppo, Syria, slavery, the Holocaust, Nuclear Arms Race, Environmental Degradations and destructions, and a range of other madness and disorders in the history of human civilizations. The “I” seeks power, seizes it and uses it to shackle the I-it primary word so that an I-Thou relation is no longer possible. The power sought is then used to subjugate others and to threaten Nature. The manifestations above point to the meaning of power in the realpolitik-al sense as opposed to the mystical. But a pertinent question which correlates with the Buberian and cosmotheandric view of power is that how can the Self be made to realize its power within and what does it mean to be powerless yet powerful compatible with our notion of the mystical self? May we visualize peace on Earth. 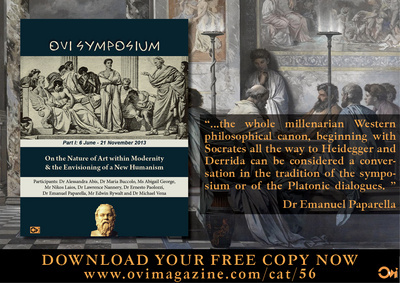 Download for FREE the "Ovi Symposium Part I" EBOOK, HERE!